Are you looking for a commercial quality podium? Our online warehouse is North America's leading provider of public speaking and presentation furniture and accessories for sale at wholesale prices. We offer 1000s of in-stock podium, pulpit, lectern and AV cart styles for use in a wide variety of situations and locations. Our huge inventory includes full size and tabletop speakers' stands in a variety of configurations, from classic carved wood pulpits to economical acrylic trade show portable counters to modern metal truss tablet holders and traditional classroom furniture. A traditional podium, sometimes called a pulpit or lectern, is the most common accessory for public speaking of any kind, including business presentations, conference keynote speeches, sermons, readings, meeting and class lectures. Many contemporary styles are also available with built in tablet or iPad holders and integrated AV equipment such as microphones, inputs, and speakers. 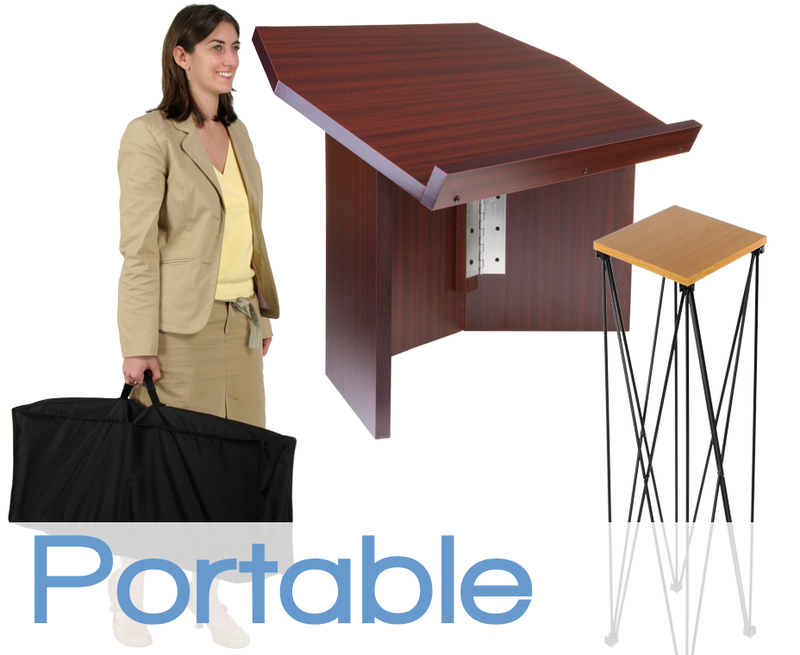 Finish options, materials and accessories can all be selected and purchased online to create custom wholesale podiums to match the needs of any business, restaurant, school, church, library or organization. From simple teaching lecterns to elegant hostess stands and high-tech pulpits with branded graphics, Podiums2go.com is your best choice for wholesale trade show and presentation furniture that will match any need. What is the difference between a Podium, a Pulpit and a Lectern? "Podium" can mean either a raised stand or platform upon which a speaker stands to make an address, or a stand used to hold notes or books used for a reading. Many public speakers use the latter meaning, while facility managers or event managers use the former term. 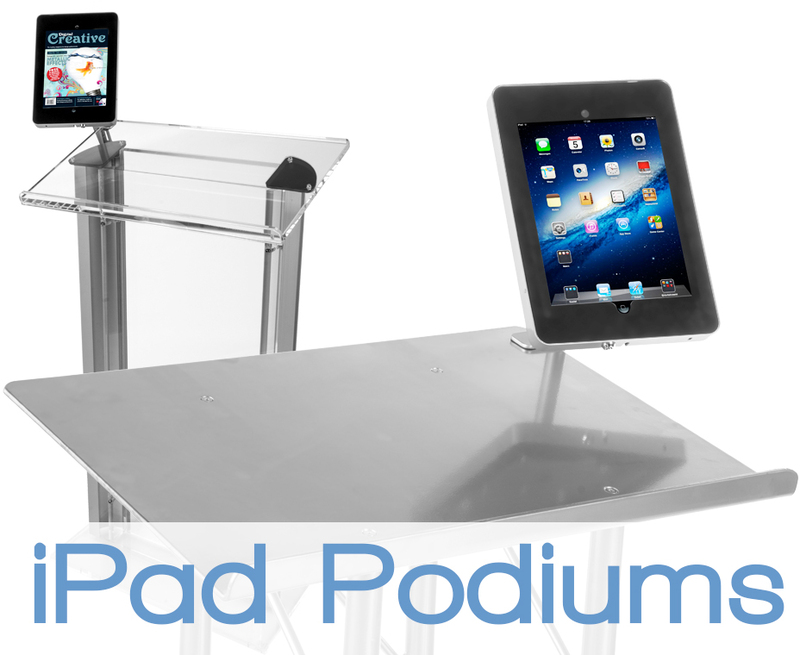 The grammatically correct plural of podium is "podia," although "podiums" is more commonly used. 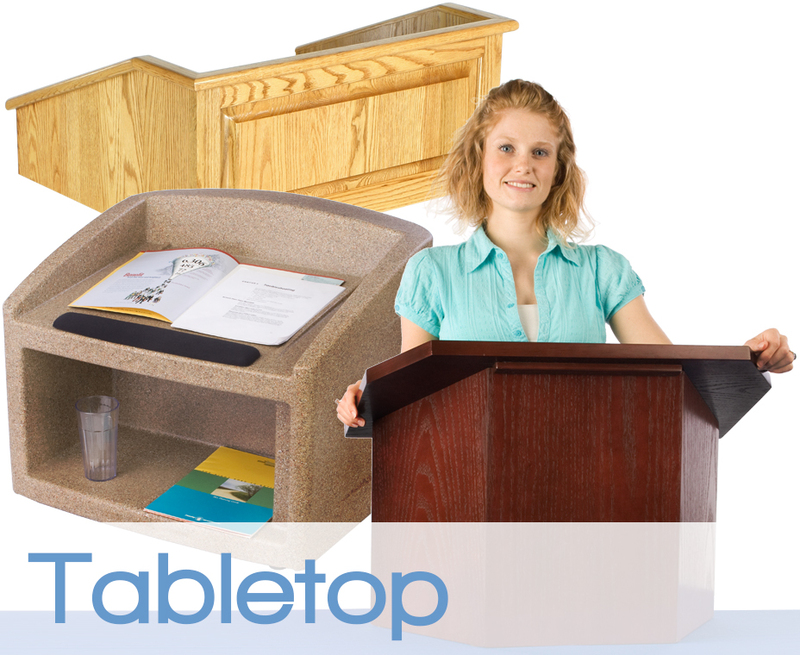 A Lectern, sometimes spelled "Lecturn," is any stand used to support notes or books from which a reading is given. The first lecterns were used in religious environments as stands for readings given from non-sacred texts. 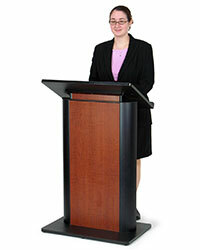 Modern lecterns frequently incorporate PA sound systems or speakers. Pulpits were initially the elevated stand from which a sacred text was read in a religious ceremony. The word has since come to mean any reading stand, elevated or not, from which a reading or speech is given in public, whether in a church or not. An Ambo (plural: Ambones or Ambos) refers to any raised desk or pulpit used to support reading notes or books used by a speaker. A speaker's platform designed to hold more than one person at a time is called a Dais. In current usage, a Rostrum (plural: Rostra or Rostrums) is a raised platform from which a speaker speaks or a conductor conducts. The Rostrum was originally the name of the speakers' platform in the Roman forum and named for the prows of captured enemy ships ("Rostra") that decorated it. A Shtender (Yiddish for "stander") is a simple frame or lectern stand designed to hold a book, most often a sacred text or commentary. Although generally full-size, tabletop shtenders are also seen. Businesses, schools and organizations are frequently called upon to present public speakers to audiences. Facility, stage and event managers frequently need to provide furniture and equipment for those public speakers. For the most part, the different terms for different accessories are used interchangeably in common use. However, when the more specific, technical meanings are used, it is possible to have a lectern inside a pulpit on top of a podium, a request which could possibly drive an inexperienced facility or event manager out of their mind. Our traditional solid wood lecterns, also known as presentation stands, range from lightweight economy styles to a superior, high-quality model suitable for world leaders and State of the Union addresses. In fact, past and current USA Presidents have chosen this very lectern for speech-making over the years. Veneered boardroom platforms are a cheap pulpit option that is more economical than solid hardwood lecterns due to the lighter construction materials used. Mahogany and other finishes are available as laminate or melamine over MDF (Medium Density Fiberboard). 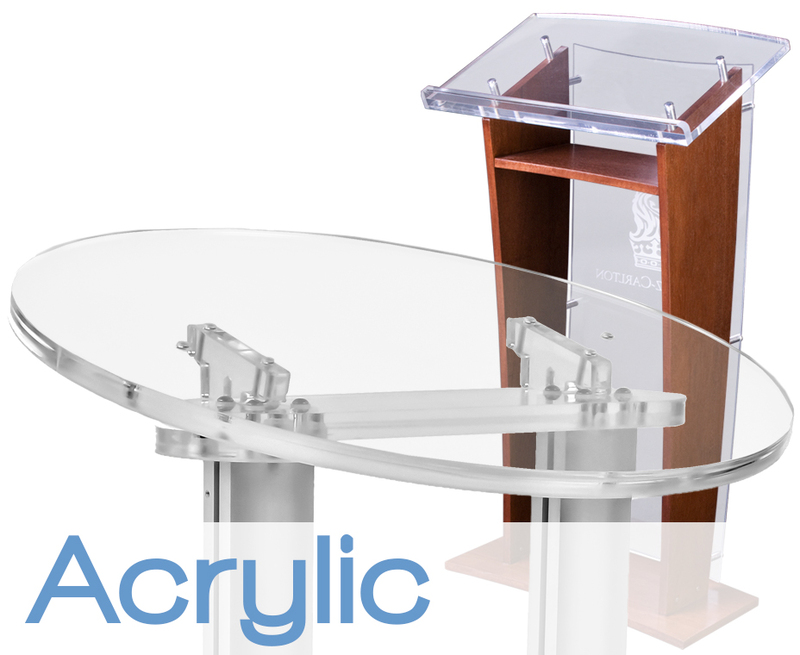 Modern-looking acrylic presentation stands, such as lucite pulpits or plexiglass podia are available in a wide variety of styles. Aluminum truss lecterns are extremely lightweight for added versatility & mobility, with a stage-like design that creates a unique look all of its own. For public speaking, a PA sound system is often needed to reach an entire office conference room or auditorium or congregation, from a small intimate audience to a large arena. 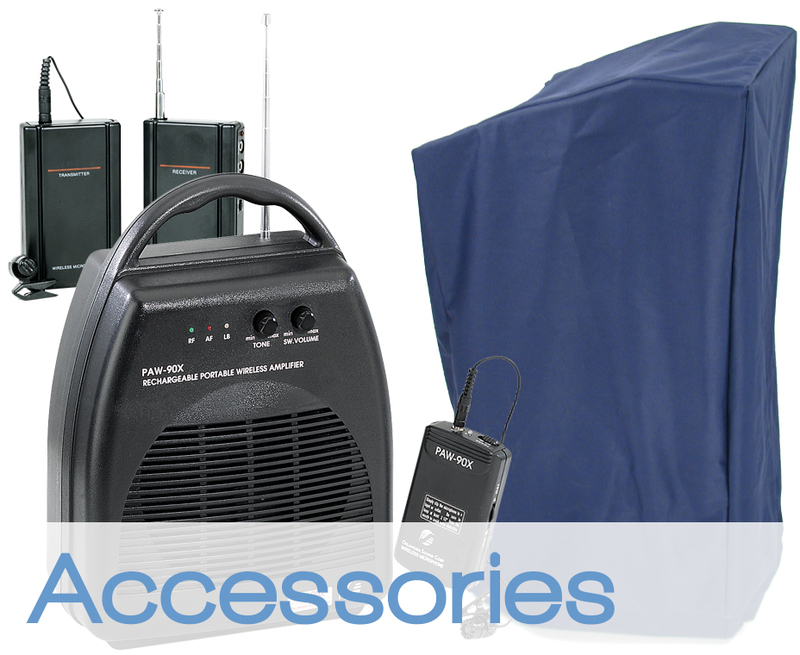 We offer a variety wireless & wired PA systems as well as a full array of accessories such as handheld and lapel microphones, lectern lights and more. 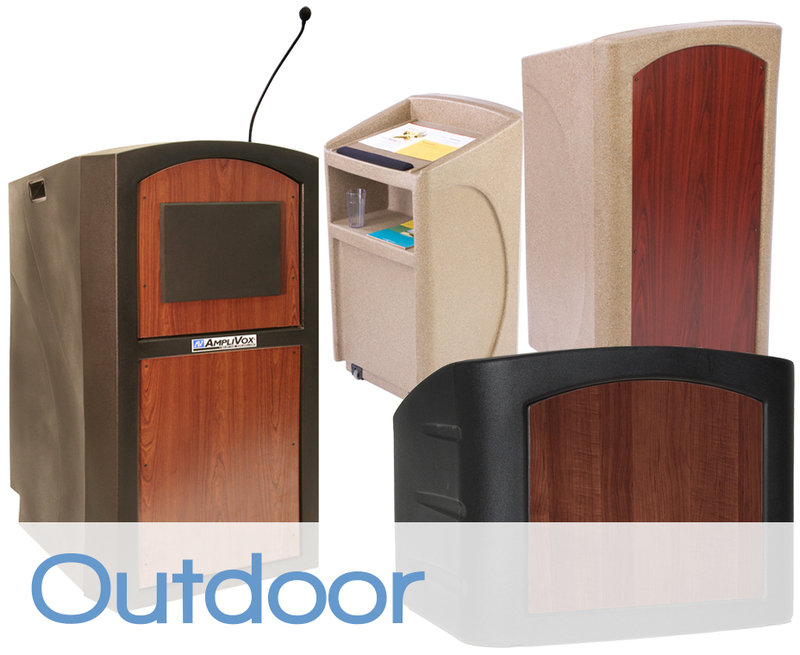 Outdoor public speaking furniture is a must at certain events, such as graduation, ribbon-cutting and commencement ceremonies. An exterior-rated pulpit is constructed of molded acrylic without seams or screws to make it lightweight, durable and water resistant. A colored panel pulpit is a great looking addition to any college, chapel or office conference room or presentation hall. Anodized aluminum sides feature a channel that allows the front and rear panels to easily snap in. 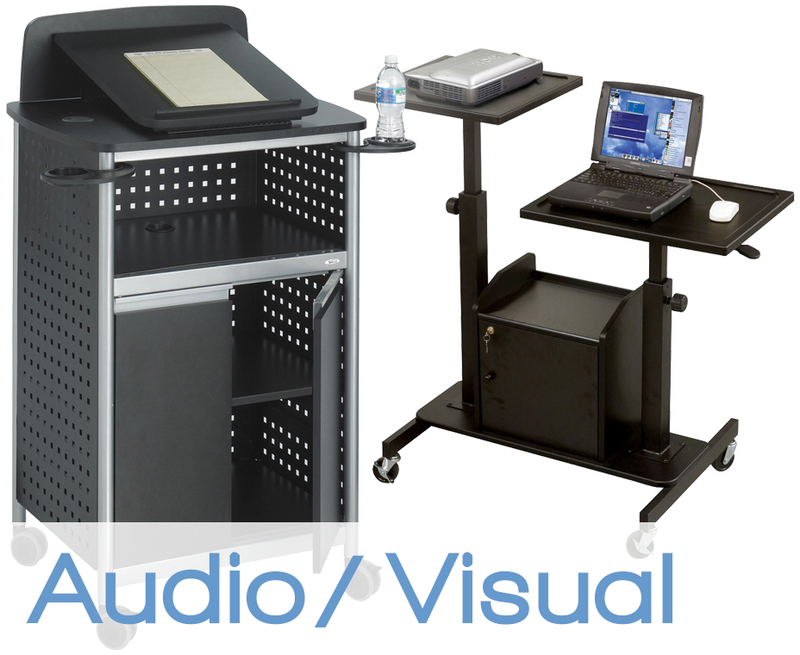 Computer multimedia carts offer security, convenience and organization all in one. Keeping computer or audio video presentation aids at hand and ready to be used at a moment's notice can be very helpful in an educational atmosphere or office. However, expensive computer equipment can cost thousands to replace if damaged or stolen, and so we offer secure locking cabinets, keyboard slides and side locking drawers to accommodate all multi-media & computer security furniture needs. An adjustable height pulpit can be a necessity for churches, conference centers, auditoriums offices, or schools where speakers of different heights or with disabilities need access to the same pulpit. Our height adjustable speakers' stands are easily changed using built-in pneumatics or are light enough to be lifted and lowered into place by hand. For situations where there is limited space or infrequently need for a floor lectern, such as school or training classrooms or office meeting rooms, we offer folding or tabletop lecterns ranging from contemporary acrylic to lightweight laminate to beautiful solid hardwood pulpits. Branded graphics, logos, facility or organization names, and advertisements are only a few of the many custom printing options available. From simple one-color vinyl imprints to photographic-quality full color UV-cured graphics printed directly on the lectern, our in-house printshop provides fast, economical customization options. On-premise printing options mean that even customized speakers stands ship quickly when ordered. 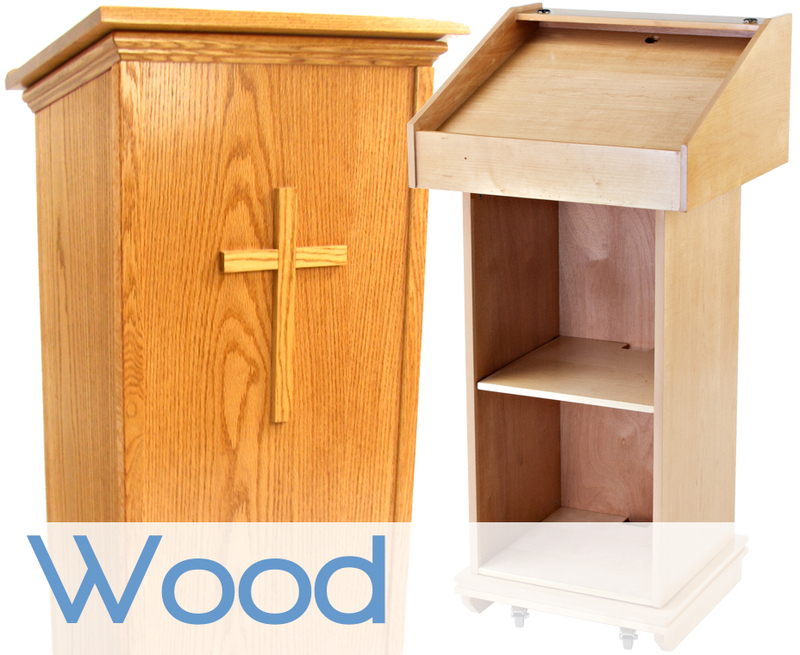 Podiums2go.com offers a huge in-stock inventory of ready-to-ship styles in everything from classic wooden church pulpits to modern PA-equipped speakers' stands for presentations. For general questions or specific order requirements, our extensive presentation furniture selection is backed by friendly, expert customer service specialists accessible by computer through our Live Chat online or by phone at 800-572-2194. Shop online today for great prices and fast same day shipping on most orders placed before 2pm EST. 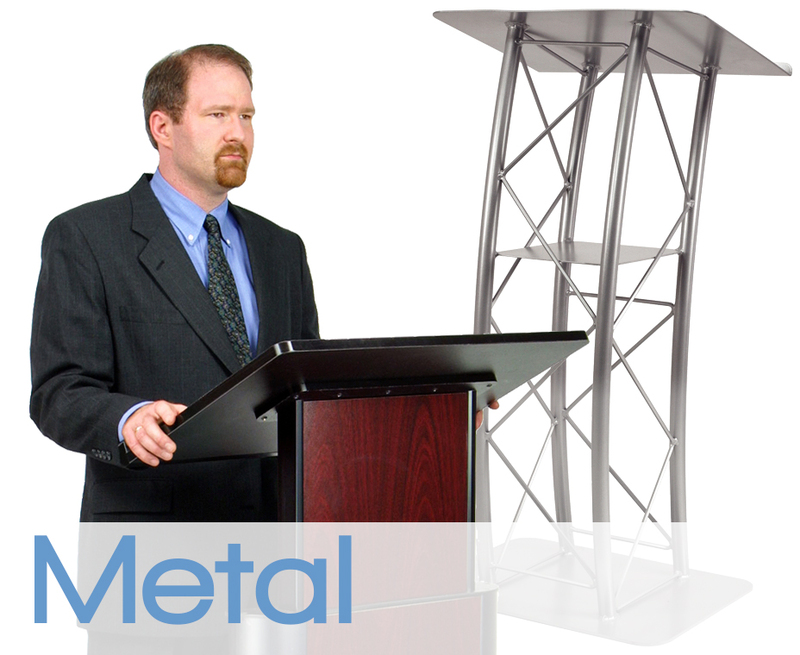 Explore all of our different styles of lecterns in our site map.